The Fund aims to preserve capital while delivering above-market returns and managing volatility. They invest, long and short, in a domestic equity portfolio. The portfolio is driven by intensive company research and risk management protocols. The long portfolio is typically 30-50 names, though as of mid-2013 it was closer to 70. The short portfolio is also 30-50 names. The average long position persists for 12-24 months while the average short position is closed after 3-6. The fund averages about 50% net long, though at any given point it might be 20-70% long. The fund’s target standard deviation is eight. Long Short Advisors, LLC. LSA launched the LS Opportunity Fund to offer access to Independence Capital Asset Partners’ long/short equity strategy. ICAP is a Denver-based long/short equity manager with approximately $500 million in assets under management. James A. Hillary, Chief Executive Officer, Chief Investment Officer, and Portfolio Manager at ICAP. Mr. Hillary founded Independence Capital Asset Partners (ICAP) in 2004. From 1997-2004, Mr. Hillary was a founding partner and portfolio manager at Marsico Capital Management. While there he managed the 21st Century Fund (MXXIX) and co-managed several other products. Morningstar noted that during Mr. Hillary’s tenure “the fund [MXXIX] has sailed past the peer-group norm by a huge margin.” Bank of America bought Marsico in 2000, at which time Mr. Hillary received a substantial payout. Before Marsico, he managed a long/short equity fund for W.H. Reaves. Effective June 1, 2013, Mr. Chris Hillary was added as a co-portfolio manager of the Fund. Messrs Hillary are supported by seven other investment professionals. The strategy, which is manifested in the mutual fund, a hedge fund (ICAP QP Absolute Return Fund), a European investment vehicle (Prosper Stars and Stripes, no less) and separate accounts, might accommodate as much as $2 billion in assets but the advisor will begin at about $1 billion to look at the prospect of soft closing the strategy. The senior Mr. Hillary has between $100,000 and 500,000 in the fund. Most of his investable net wealth is invested here and in other vehicles using this strategy. The firm’s principals and employees account for about 14% of ICAP’s AUM, though the fund’s trustees have no investment in the fund. September 9, 2010, though the hedge fund which runs side-by-side with it was launched in 2004. 1.95% on fund assets of $40 million. The limit was reduced in early 2013 from 2.50%. In 2004, Jim Hillary had a serious though delightful problem. As one of the co-founders of MCM, he had received a rich payout from the Bank of America when they purchased the firm. The problem was what to do with that payout. He had, of course, several options. He might have allowed someone else to manage the money, though I suspect he would have found that option to be laughable. In managing it himself, he might reasonably have chosen a long-only equity portfolio, a long-short equity portfolio or a long equity portfolio supplemented by some sort of fixed-income position. He had success in managing both of the first two approaches and might easily have pursued the third. The decision that Mr. Hillary made was to pursue a long-short equity strategy as the most prudent and sustainable way to manage his own and his family’s wealth. That strategy achieved substantial success, measured both by its ability to achieve sustainable long-term returns (about 9% annually from 2004) and to manage volatility (a standard deviation of about 12, both better than the Total Stock Market’s performance). Mr. Hillary’s success became better known and he chose, bit by bit, to make the strategy available to others. One manifestation of the strategy is that ICAP QP Absolute Return L.P. hedge fund, a second is the European SICAV Prosper Star & Stripes, and a third are separately managed accounts. The fourth and newest manifestation, and the only one available to retail investors, is LS Opportunity Fund. Regardless of which vehicle you invest in, you are relying on the same strategy and the portfolio in which Mr. Hillary’s own fortune resides. Mr. Hillary’s approach combines intensive fundamental research in individual equities, both long and short. Does a long-short position make sense for me? Does this particular long-short vehicle make the most sense for me? The argument for long-short investing is complicated by the fact that there are multiple types of long-short funds which, despite having similar names or the same peer group assigned by a rating agency, have strikingly different portfolios and risk/return profiles. A fund which combines an ETF-based long portfolio and covered calls might, for example, offer far more income but far fewer opportunities for gain than a “pure” long/short strategy such as this one. The argument for pure long/short is straightforward: investors cannot stomach the volatility generated by unhedged exposure to the stock market. That volatility has traditionally been high (the standard deviation for large cap stocks this century has been over 16 while the mean return has been 4; the translation is that you’ve been averaging a measly 4% per year while routinely encountering returns in the range of minus-12 to plus-20 with the occasional quarterly loss of 17% and annual loss of 40% thrown in) and there’s no reason to expect it to decline. The traditional hedge has been to hold a large bond position, which worked well during the 30-year bond bull market just ended. Going forward, asset allocation specialists expect the bond market to post negative real returns for years. Cash, which is also posting negative real returns, is hardly an attractive option. when the market moves out of its panic mode, which are periods in which all stocks move in abnormal unison, both the upside and downside advantages of a hedged strategy rises in comparison to a long-only portfolio. In short, a skilled long-short manager can offer more upside and less downside than either a pure stock portfolio or a stock/bond hybrid one. The argument for LS Opportunity is simpler. Most long/short managers have limited experience either with shorting stocks or with mutual funds as an investment vehicle. More and more long/short funds are entering the market with managers whose ability is undocumented and whose prospects are speculative. Given the complexity and cost of the strategy, I’d avoid managers-with-training-wheels. Mr. Hillary, in contrast, has a record worth noticing. He’s managed separate accounts and hedge funds, but also has a fine record as a mutual fund manager. He’s been working with long/short portfolios since his days at W.H. Reaves in the early 1990s. The hedge fund on which LS Opportunity is based has survived two jarring periods, including the most traumatic market since the Great Depression. The mutual fund itself has outperformed its peers since launch and has functioned with about half of the market’s volatility. This is not a risk-free strategy. 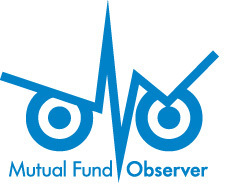 The fund has posted losses in 15 of its first 34 months of operation. Eight of those losses have come in months when the S&P500 rose. The fund’s annualized return from inception through the end of June 2013 is 6.32% while the S&P moved relentlessly and, many fear, irrationally higher. In the longer term, the strategy has worked to both boost returns and mute volatility. And, with his personal fortune and professional reputation invested in the strategy, you’d be working with an experienced team which has committed “our lives, our fortunes, and our sacred honor” to making it work. It’s worth further investigation. This entry was posted in Old Profile on July 30, 2013 by David Snowball.